FAQ: Is Breo Ellipta (fluticasone furoate and vilanterol) prohibited? If you use a diuretic in combination with an inhaled beta-2 agonist, then the threshold is no longer valid and you need a therapeutic use exemption (TUE) for BOTH the inhaler AND the diuretic. All other beta-2 agonists are prohibited at all times. 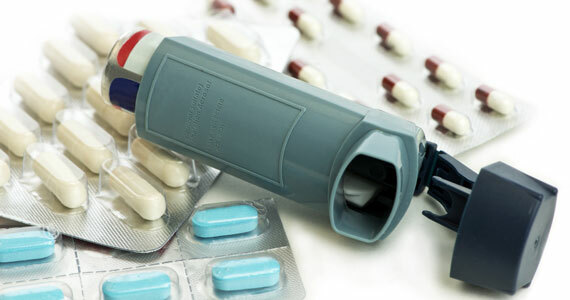 If you are prescribed the US brands Breo Ellipta (vilanterol), Utibron or Arcapta (indacterol), Stiolto or Striverdi (olodaterol), Anoro Ellipta (vilanterol), Maxair (pirbuterol) or any other asthma inhaler that contains another beta-2 agonist, you need an approved TUE before you use the inhaler in sport. Your doctor may want to prescribe Breo Ellipta or another inhaler as a first line of treatment, but one of the conditions of getting a TUE approved is the demonstration of a failed trial of a permitted alternative. In other words, your doctor has to have clinical notes or other evidence to show that albuterol, salmeterol, and formoterol are all ineffective at managing your asthma. If in doubt please check your medication on UFC.GlobalDRO.com which provides athletes and support personnel with information about the prohibited status of specific medications based on the current World Anti-Doping Agency (WADA) Prohibited List – available 24/7/365.